If you’re a business owner who needs graphic design but don’t have the time to go to a course to learn Photoshop, that doesn’t have the creativity, the skills, the ability to know what fonts go together, what colors should I use? Or even just know how to drag and drop things onto a canvas. I’ve been there, and I didn’t want to spend so much money hiring a graphic designer. 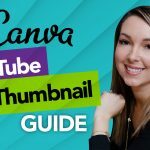 I wanted to learn how to do it myself, but Photoshop had a learning curve, but that’s when I found Canva, and if you haven’t heard of Canva before, I do have a full tutorial on the channel that even Canva themselves commented on and loves this tutorial. It’s one of the best tutorials on YouTube. But today I want to share with you why Canva is better than Photoshop, and if you’re a creator like me, I’ve included my three favorite clever Canva hacks to minimize your graphic design time and keep it on brand. So whether you’re using Canva for business or for just casual use, it is so simple to use because of its simple interface, it’s browser-based, don’t have to download anything to my computer, and also the functionality. I can use so many different fonts. I can use so many different images, templates, icons. It’s all right in the platform. There are some paid features but most of it is free, and you can even use the platform for free for as long as you need. The only reason why I started using the paid version of Canva was when I started to need transparent backgrounds behind my images. Other than that, I used Canva for free for months before I ever needed to start doing that. However, a disclaimer. Canva also includes stock images that you can use and pay for. It does come with a bunch of free stock images, but you can tell when you’re looking through the assortment, the variety of what they have, it will say if there’s a cost or it will say if it’s free next to what you can use. However, I do also have videos on where you can get stock photos, stock music, stock everything, for free on the internet. It’s also a browser-based platform meaning that you don’t have to download anything to your computer that’s gonna take up all this storage. I don’t know about you, but I constantly have this notification saying I’m running out of storage. I can go to canva.com, log in to my account, and all of my previous designs are right there in my account. This makes it super easy so whether I’m on the road, using someone else’s computer, in a library, whatever, I can just log in to my account and pick up from where I left off. I’m not good at any sort of design. I don’t know what to put together. Well, you’re in luck because Canva also has thousands of free templates and design ideas that you can just use and switch out with your own words or branding which is such a relief especially when I first started. I had no idea what fonts should go together. What colors match well. They come with so many templates that you can just plug in to place, replace any pictures or fonts or words that you need and just go right in to it, and when it comes to putting in your own images, your own brand name, logos, anything like that, it’s so easy to just upload videos. You can just drag and drop it multiple at a time, sort it into folders, any way that you want to keep it organized, and it’s so easy just to export the exact same way as JPGs, as PNGs, as PDFs. Any kind of file type that you need is all right there and so easy to use even in the free version. So those are just some of the reasons why I love Canva. I think that any entrepreneur, any business, should be using Canva. Even if you are a pro at Photoshop, having a Canva account on hand, especially that you can access it from anywhere, that, like I said, it’s a browser-based program, so you can honestly access and pick up where you left off from any of your previous projects. It is so easy to use and just awesome. 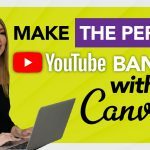 I have included my three clever Canva hacks to minimize your graphic design time and keep it on brand, and if you’re a video creator like me, I’ve included my top Canva tools for video creation.